It is very unusual for Apple, or Beats Electronics for that matter, to offer any significant discount on its premium software and products. 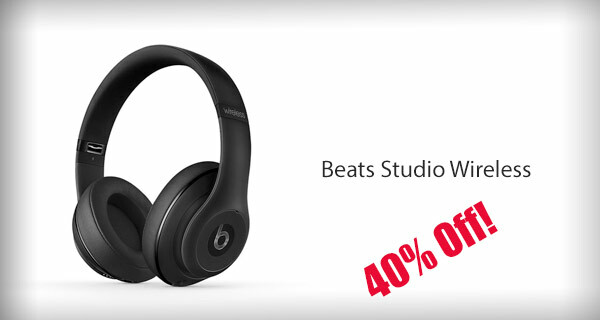 Hardware that normally flies off the shelves theoretically doesn’t actually need to have any discount applied to it to make it appealing to consumers, but that doesn’t mean you can’t take advantage of an absolute deal by getting 40% off the Beats Studio Wireless over-ear headphones right now. For those who have been actively looking for a new set of headphones, this would seem like the perfect deal to make close attention to. Normally retailing for a whopping $379.95, these premium Beats headphones are now being offered in a certified refurbished capacity with 40% off, which means that you can purchase them right now and become the proud owner of this personal music behemoth for just $229.99. Same product, same high quality build, same high-quality audio output, but with a significantly reduce price-tag. The best thing about this type of deal is that a significant saving is achieved purely owing to the fact that it is a certified refurbished product, but there is really no deviation in product quality for the end consumer. It’s the exact same hardware that would retail for $379.95 if you walked into an Apple Store. It’s also the same hardware that offers premium audio output and Dual-Mode adaptive noise-canceling technology to ensure that outside world doesn’t interfere with the musical experience that’s being pumped into your ears. 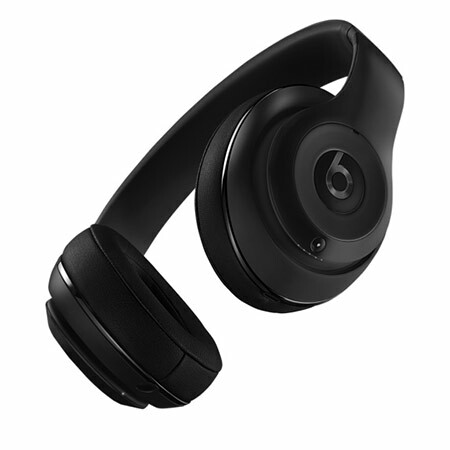 Additionally, this particular Beats experience comes with a rechargeable internal battery complete with fuel gauge to let you know exactly how much time you have left, as well as the ability to take and interact with incoming calls from the device. If the certified refurbished thing is a slight deterrent, then worry not. All hardware of this nature is tested and certified by Apple to work and look like new and should come with absolutely no physical defects at all. If you have been in the market for this type of product, and have the money ready to splash out on the right hardware, then it would seem like the perfect opportunity to fill that product void with this level of discount. Act quickly before stock levels are depleted or the price goes up. This seller is known for selling knockoffs. You can even read the reviews on the listing, please amend. These are currently $199 from Best Buy!